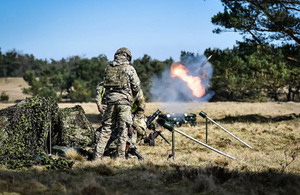 UK soldiers training in Sennelager in Germany. "We are increasing our British points of presence across the world. We will not be closing our facilities in Germany, and instead use them to forward base the Army."